We have partnered with Designs for Health to provide quality supplements to our clients. Designs for Health is a family owned nutritional supplement company that has been operating since 1989. They offer products through licensed healthcare practitioners who see the value in nutritional therapy for their patients' health. Designs for Health is based on the belief that the body has the capacity to heal itself if given the right resources, and that nutrition and lifestyle choices are amongst the most important resources we have. 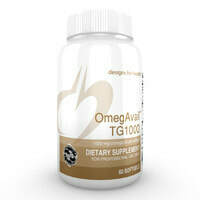 TG 1000 is a high potency omega 3 (fish oil) product that can be used by everyone to help combat inflammation and pain, but also to help support cardiovascular health, brain health, and overall lipid balance. This product is much higher quality than what you can find in the store due to potency, purity and bioavailability. ArthroSoothe capsules offer ideal nutritional support for joints, providing aching joints the nutrition they need to repair, stay lubricated, rid fluid that results in swelling, move freely and function at their best. 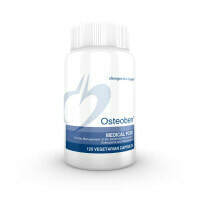 ​ArthroSoothe Cream can be used for occasional joint and muscle discomfort as a complement to ArthroSoothe capsules. Topical application provides tissue-warming and surface-cooling effects.